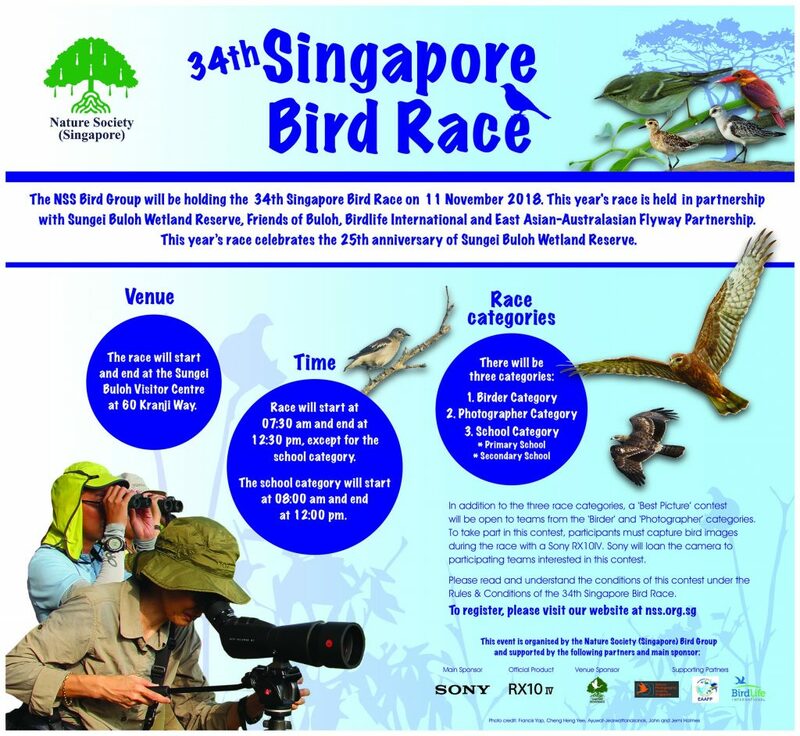 The 34th Singapore Bird Race is going to be held on 11 November 2018 in Sungei Buloh Wetland Reserves (Flyway Network Site, EAAF073). The bird race is organized by Nature Society (Singapore), in partnership with Sungei Buloh Wetland Reserves and Friends of Buloh. This bird race is for celebrating the 25th Anniversary of Sungei Buloh Wetland Reserve. The race is sponsored by Sony and supported by EAAFP.